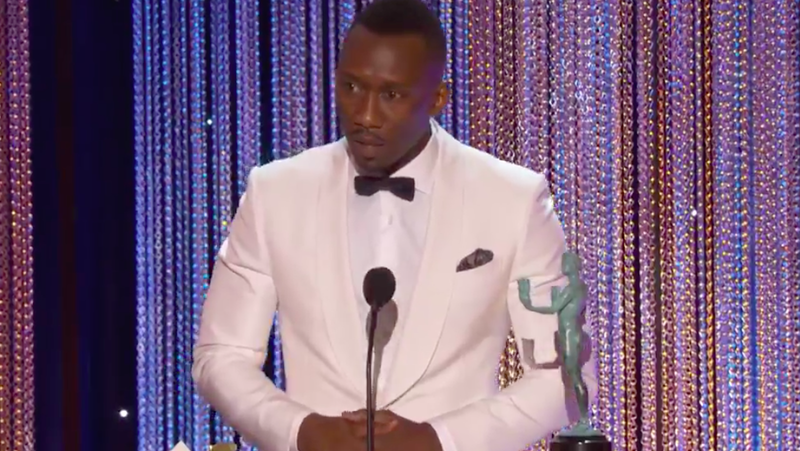 At tonight’s SAG Awards, in a vote consisting solely of his peers, Mahershala Ali finally won a beyond-deserved honor for the role of Juan in Moonlight. And given the dark context of the last couple of days, Ali both elaborated on the important meaning of the characters in Moonlight, and on his feelings as a Muslim American in the current climate of religious persecution. With tenderness and emotion, he gave it all. Congratulations to Ali for finally receiving institutional recognition for such a powerful role, and thanks to him for this speech. Watch it here.